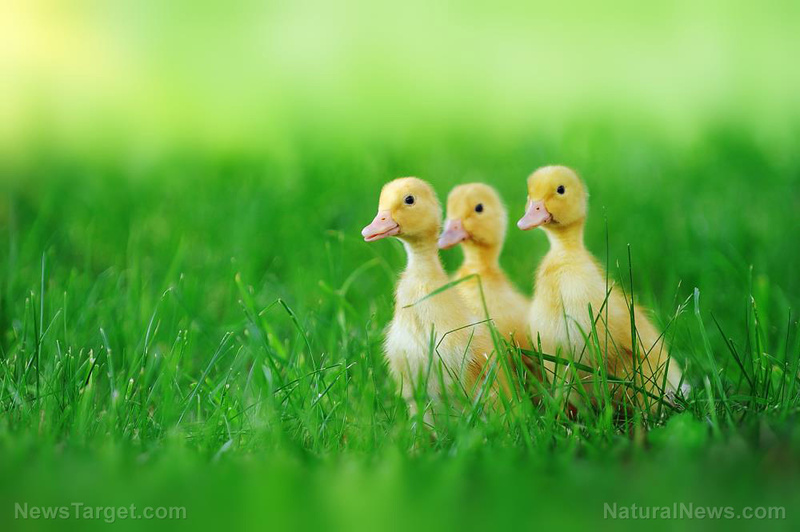 (Natural News) Raising poultry at home is a great way to have a steady supply of eggs for eating, as well as to maintain plenty of nutrient-rich manure for fertilizing lawns, gardens, and orchards. But what are the best varieties for maximizing desired output of these natural resources while minimizing the negative impacts of raising poultry at home. Marjory Wildcraft from The Grow Network explains in a recent video at her Brighteon.com channel why she believes that ducks are far superior to both geese and chickens. Having had both on her property, Wildcraft says that ducks are quiet, smart, and enjoyable to have around, which isn’t always the case for the other two types of birds. “If you remember, I used to have geese, and I love geese,” she explains. Wildcraft had similarly tried to raise chickens for eggs and fertilizer, only to run into many of the same problems she experienced with the geese – not to mention the fact that chickens, for lack of a better words, tend to be dumb animals that are highly destructive if they’re not constantly confined to cages and coops. What sets ducks apart from geese and chickens, in Wildcraft’s view, is the fact that they’re far less destructive, don’t make much noise, and get along well with everyone. They’re also trainable, believe it or not, because they’re smarter than both chicken and geese. “They’re great egg-layers, and they’re also much more mild-mannered and friendly than geese, and they are quite prolific with the stuff coming out of their rear ends, just like geese are, so getting the same fertility. So basically I’m able to combine the two animals into one,” Wildcraft explains. Be sure to watch Marjory Wildcraft’s full video segment on the superiority of ducks at Brighteon.com.